Tesprom Estates Limited is in the real estate development sector to provide affordable housing to the millions of the population here in Ghana without homes. In line with this objective, the company, located in Bekwai in the Ashanti Region, some 270 km north of the country’s national capital, Accra has worked out a comprehensive long-term plan for people across the country desirous of owning their own homes at prices at the level of the ordinary Ghanaian worker. The Centre for Affordable Housing Finance in Africa (CAHF) estimates the housing deficit in Ghana to be in excess of 1.7 million units as at December 2015 with an annual demand for housing units of over 60,000 affordable units. With the innovative comprehensive plan by Tesprom Estates Limited, the housing deficit in the cocoa growing West African country is expected to slump as ordinary workers roll onto it. Tesprom Estates Limited was incorporated here under the Companies Act, 1963 (Act 179) and has recruited agents across the country to be closer to the people. Among the services the Real Estates Company provides include using a maximum of six (6) months to build on a customer’s own land payable by 10 years installments. 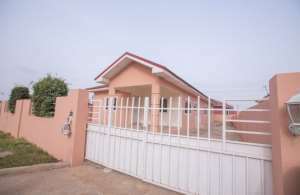 The company’s price quotations are the lowest in the real housing estate market, and also has a juicy package for the members of the Ghana National Association of Teachers (GNAT) Now the company is also embarking on helping institutions and organizations who has already bought parcels of land to its staff members to build their own homes.